Chinese Jade has played a significant role in Chinese society for over 6,000 years. 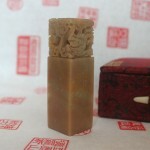 To the Chinese, jade represents a holy link between man and spiritual world, embodied with perfection and immortality. It has influenced a plethora of Chinese disciplines ranging from politics to religion to culture. Chinese deemed jade as a sacred stone. Meanwhile, they also employed it for many commercial purposes, and all classes and ranks of society used it. Regarding its spiritual importance, Confucius, a Chinese traveler (551 B.C.-479 B.C. ), once pointed out that there are eleven virtues in jade. In fact, there is a Chinese saying, “Gold has a value, and jade is invaluable.” People often use it as a synonym for grace, beauty, and purity. 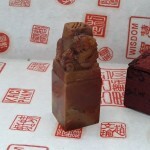 The use of Chinese jade is as old as the Chinese civilization. Archaeologists have found jade objects from as early as the Neolithic period (about 5000 BC). 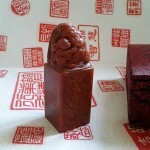 It is said that people of Hemudu community of Zhejian province were the first to use jade objects. The Hongshan community from the period of middle and late Neolithic period along of the Lao River, the Longshan community along the Yellow River, and the Liangzhu community in the Tai Lake area also used jade. According to the first Chinese dictionary, Jade means “beautiful stone.” It is formed simply through the natural forces of riverbeds and mountains. Depending upon the amount of silicate minerals, Jade is mainly divided into two categories: hard jade or Jadeite, and soft jade or Nephrite. Jadeite, known as Feicui in Mandarin, has now become more valuable than Nephrite. In the reign of Qing Dynasty (1271 A.D. to 1368 A.D.), Jadeite was brought to China. The Ch’ing dynasty (1644-1911), made great contributions in advancing the use of Chinese jade, and helped change in jade carvings stylistically. As they liked the jade craft, they facilitated the carvers with many workshops to refine their skills. Thus, the craft achieved a sophisticated level with a greater appeal. For instance, “Lidded Vase with Flowers and Birds” is a fine example of jade carvings — using a popular motif of birds and flowers for decoration on vases and figurines.